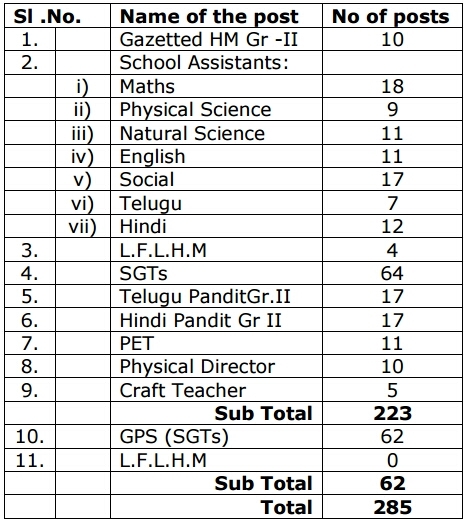 Home» AP LATEST UPDATES | AP TS LATEST JOB's | EDUCATIONAL PORTAL » AP GO.NO:21 Filling up of vacancies of Teacher posts in the merged mandals Residuary State of AP to TS through Special DSC. AP GO.NO:21 Filling up of vacancies of Teacher posts in the merged mandals Residuary State of AP to TS through Special DSC. AP Reorganisation Act, 2014 - Transfer of certain Mandal’s to the Residuary State of Andhra Pradesh from Khammam District of Telangana State - Filling up of vacancies of Teacher posts in the merged mandals through Special DSC - Permission - Accorded- Orders - Issued. From the Director Tribal Welfare, AP, Hyderabad Lr. Rc.No. K2/1804/2014, Dated 11-6-2015 and 3-7-2015. From the DTW, AP, Hyderabad D.O.Lr.Rc.No. K1/1904/2014, Dated 31-8-2015.
to direct recruitment to Ashram Schools inScheduled Areas and constituting the District Selection Committees as per theexisting Rules. 4. The Tribal Welfare Department shall issue detailed guidelines regarding therecruitment process. The Director of Tribal Welfare, Hyderabad. The AG (A&E) / Principal A.G. (Audit) / Audit-II, A.P. Hyderabad. All Spl.CS/Prl. Secy / Secretaries to Government. The Director of Treasuries & Accounts, A.P. Hyderabad. Get Download GO.NO:21 Copy Click Here.